We emphasize the aesthetic aspect in ALL our work because we know that when your smile looks good, you feel good! We use the best combination of preventive care, tooth-colored fillings, and restorative techniques for optimum dental health. Modern smile makeovers are so easy (and affordable!) there’s simply no reason you can’t have the perfectly beautiful, natural-looking smile you’ve always wanted. If you have misshapen teeth, unsightly gaps, or deep discoloration, our porcelain veneers may be the answer. Veneers are thin, but very hard, sheets of the most advanced dental ceramic available. They are bonded to natural teeth in a way that makes the teeth appear straight and beautiful, creating an attractive, natural-looking smile. Crowns are sometimes necessary to save and even strengthen a broken or worn-down tooth when a simple filling will not restore it to full functionality. Our crowns are made of the best-quality materials available. They look so natural, you won’t be able to distinguish them from a real tooth. The only way to get your teeth their whitest is by using professional-strength whitening. You may have seen our method of in-office whitening on television. It’s called power whitening. 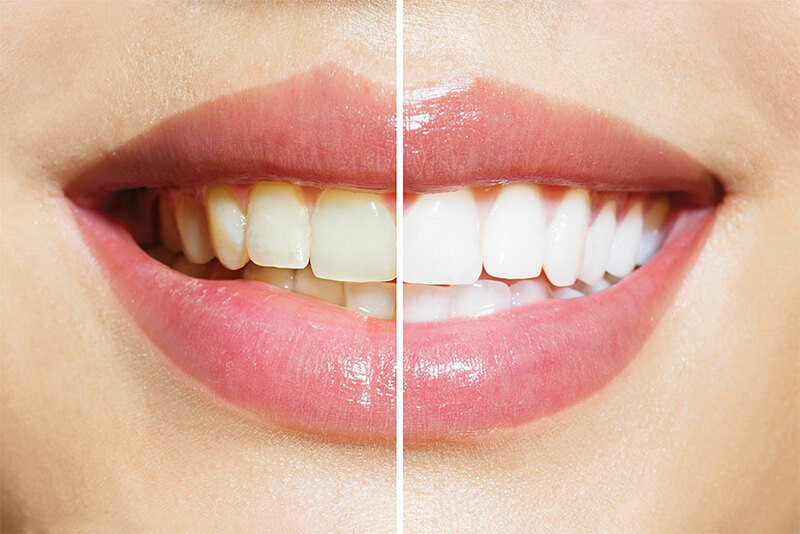 Now you can have brilliantly white teeth, without stains or darkness, in just one visit. The results can last for years! Our patients are always pleased to know that we only use white bonded fillings for our restorations. These are a natural-looking white, contain no metals, and can actually strengthen your teeth. They also bond very tightly with the healthy part of the tooth so there is much less chance of decay in the future. We’re excited to offer a temporary cosmetic option with Snap-On Smile™. Do you want a nice smile at a very affordable price? Snap-On Smile requires no tooth preparation, no adhesives, and best of all, no drilling or shots. The appliance simply fits over your teeth. It’s easily removable and can even be worn while eating. Our patients tell us that they are impressed by the natural look and feel of Snap-On Smile. We think you will be too! Schedule a complimentary consultation by calling (207) 808-7939, and discover how cosmetic solutions and teeth whitening can give you a brilliant new smile! Monday 7:30 a.m. – 4:30 p.m.
Tuesday 7:30 a.m. – 4:30 p.m.
Wednesday 7:30 a.m. – 4:30 p.m.
Thursday 7:30 a.m. – 4:30 p.m. Copyright © 2019 New Patients, Inc. All Rights Reserved.